Great line up there. Is Furbers 205 T16 a EVO1 pretending to be a 2 or a 2 with wrong bits on it? It's neither. 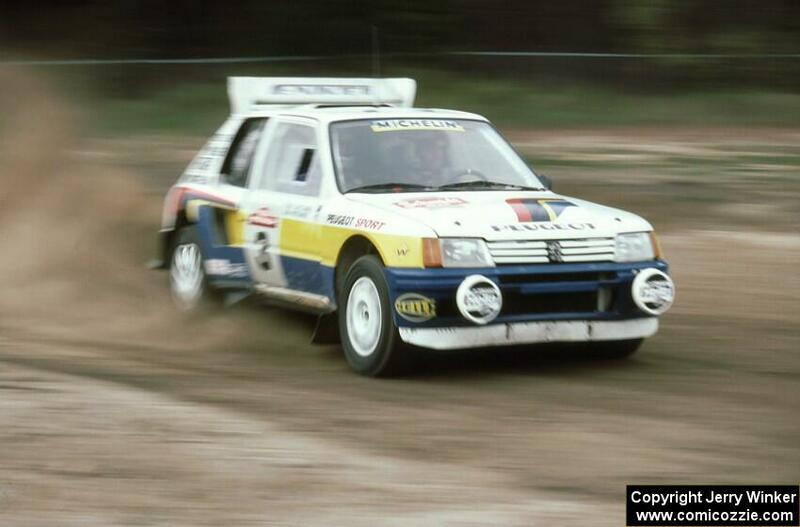 The car started life as road car and was converted into a rallycar by Mike Little on Jon Woodner's behalf, who wanted a 205 T16 to compete in the US.